One of the youngest members of our fleet is Fisherman's Bastion, with beautiful interiors and spacious outdoor terraces. Ideal for transfer, excursion, memorable weddings, gala dinner or family celebration. On the lower deck you can find a large, contiguous room for your guests, in which in which mahogany surfaces and elegant brass frames dominate. Her upper deck is special as well, covered with a sheet that can be removed in good weather. If you want spacious rooms and panoramic views, you must take a walk on the deck. You have found the right event boat? Have you only need a quote to see exactly how to reckon the cost? 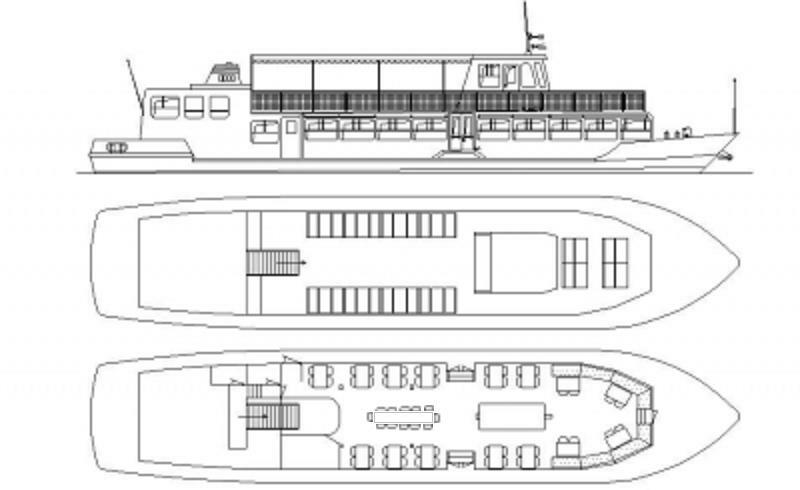 With express river boat RFQ you will receive the offer matching your needs within a few hours (up to 24).